When should you file your 2012 Income Tax Return? The tax law sets deadlines for filing 2012 income tax returns. However, there is room to maneuver, and the time you choose to file depends on your personal situation. Here are some guidelines to help you decide on the best time for you to file your return. The filing season for 2012 income tax returns officially opened in end of January 2013 when the IRS began to accept electronically-filed returns. Most individuals do not file before the beginning of February in order to receive information returns, such as W-2s and 1099s, which are usually sent to taxpayers at the end of January; this information is needed to complete the return. • To receive a tax refund. If you overpaid your 2012 taxes, the longer you wait, the longer the government has the use of your money on an interest-free basis. Usually, you can expect to receive your refund within 72 hours after IRS acknowledges receipt of your e-filed return, or three to four weeks after mailing a paper return. However, the IRS has recently indicated that some refunds may be delayed a week or two due to security measures against fraud. 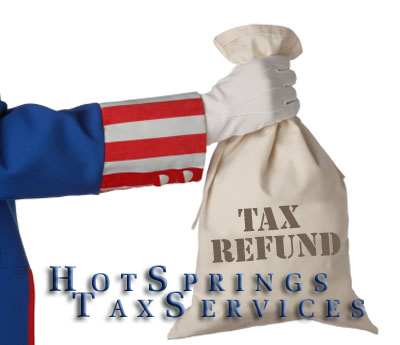 • To apply a refund to 2012 IRA or HSA contributions. You can direct the IRS to transfer your refund directly to an IRA or Health Savings Account (HSA) for 2012, assuming you are eligible to make a contribution. If you want the refund to be used for a contribution that will be deducted on the 2012 income tax return, the return must be filed early enough to ensure that the transfer is complete before April 15, 2013, the deadline for a 2012 contribution. Use Form 8888 to indicate the account to which you want your refund transferred; you can split the refund into as many as three accounts. • To get the filing obligation behind you. Many taxpayers dread income tax filing, so the sooner they complete the task, the better off they feel. The deadline for filing the 2012 income tax return is April 15, 2013. The majority of taxpayers file by this date; it avoids the need to request a filing extension. • Needing a completed tax return for financial aid purposes if you, your spouse, or your child is in or will attend college. • Needing a completed tax return if you want to refinance your mortgage. If, for any reason, you want more time, you have to request a filing extension by April 15. This is done on Form 4868. But beware: The extension only gives you more time to file the return, not to pay taxes owed. If you obtain a filing extension, pay as much of the tax you owe to minimize or avoid underpayment penalties. 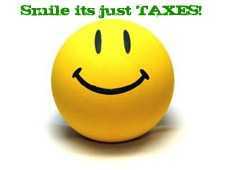 The final day to file your 2012 income tax return is Oct. 15, 2012, assuming you’ve received a filing extension. If you file after this date, you’ll owe late filing penalties. This date is also the last day to file electronically. If you miss the deadline, you’ll have to submit a paper return. • Family problems. If there’s an illness, a move, or other personal issues distracting you, take the extra time—to October 15—to file the return. • Obtaining missing information. For example, if you’re an owner in an S corporation, partnership, or limited liability company, you may not receive until September 15 the Schedule K-1 indicating the share of income and expenses you claim on your return. • Funding a SEP retirement plan if you are self-employed.You may not have the cash before this date to make your contribution. Final thought: When in doubt about the best time to file your return, talk to a tax advisor in your area or online.